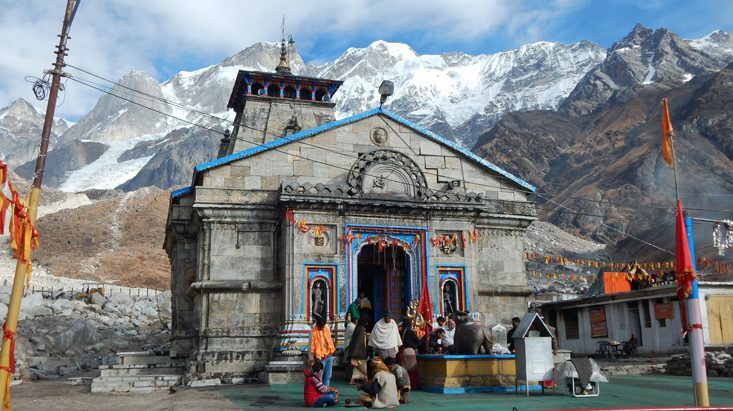 The Kedarnath temple is located at a height of 3584 Meters above from sea level. It is believe that the kedarnath temple was founded by the pandavas, it opens in the month of May and June and timing to visit the temple is 4:00 am to 3:00 pm and 5:00pm to 9:00pm. Vasuki tal is a lake which is situated at a height of 4135 meters above from sea level and is 8 km away from Kedarnath. This lake is the place where lord Vishnu had take bath and it offers you the wonderful view of neighboring Chaukhamba peaks, in route to Vasuki Tal you can see the Chaturangi and Vasuki Glaciers. This is the another famous place in Kedarnath and the Samadhi of Adi Shankracharya is located behind the Kedarnath temple, the kedarnath temple was rebuilt by Adi Shankracharya in 8th century and Adi shankracharya attended Nirvana at this place after creating four holy Mathas. Agastmuni is located at a distance of 67 km from Kedarnath and at an altitude of 1000 meters above from sea level, this place is mainly popular for Augustyamuni temple and is known by the name of Auguteshwar Mahadev. The Augustmuni place is dedicated to rishi Augustya who spent his one year in meditation here. Sonprayag is located at an altitude of 1829 meters above from sea level and at a distance of 18 km from Kedarnath. In sonprayag you can see the wonderful Sangam of Basuki and Mandakni Rivers. Triyuginarayan temple is located at a distance of 27 km from Kedarnath and was established by Adi Shankracharya. It is believed that the Triyuginarayan is a place where Lord Shiva was married with Goddess Parvati and the place is known to be Triyuginarayan because the Tri-Dev (Brahma, Vishnu and Shiv) was present here. Gaurikund is located at a distance of 14 km from Kedarnath, Gaurikund was named after Goddess parvati and it is a place where Goddess Parvati did penance for winning lord Shiva’s heart and lord Shiva accepted to marry with Goddess Parvati. There is also a famous temple of Goddess Parvati which is known as Gauri temple.